* I have abbreviated and highlighted words/sections as I thought appropriate. Original sources are indicated and are available for inspection. [A]nimal protein may be so detrimental to kidney function [because] it is generally more acid forming. This is because animal protein tends to have higher levels of sulfur-containing amino acids, such as methionine, which produce sulfuric acid when metabolized in the body. 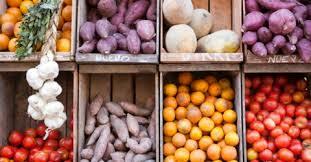 Fruits and vegetables, on the other hand, are generally base forming, which helps neutralize acids in our kidneys. 32 Dietary acid load is determined by the balance of acid-inducing foods (such as meats, eggs, and cheese) and base-inducing foods (such as fruits and vegetables). A 2014 analysis of the diets and kidney function of more than twelve thousand Americans across the country found that a higher dietary acid load was associated with significantly higher risk of protein leakage into the urine, an indicator of kidney damage. 33 Ancient human diets largely consisted of plants, so they likely produced more base than acid in the kidneys of our ancestors. Humans evolved eating these alkaline (base-forming) diets over millions of years. Most contemporary diets, on the other hand, produce acid in excess. This switch from base-to acid-forming diets may help explain our modern epidemic of kidney disease. 34 Acid-inducing diets are believed to impact the kidney through “tubular toxicity,” damage to the tiny, delicate, urine-making tubes in the kidneys. To buffer the excess acid formed by your diet, kidneys produce ammonia, which is a base and can neutralize some of that acid. Eating a plant-based diet to alkalinize your urine may also help prevent and treat kidney stones— those hard mineral deposits that can form in your kidneys when the concentration of certain stone-forming substances in your urine becomes so high they start to crystallize. Eventually, these crystals can grow into pebble-sized rocks that block the flow of urine, causing severe pain that tends to radiate from one side of the lower back toward the groin. 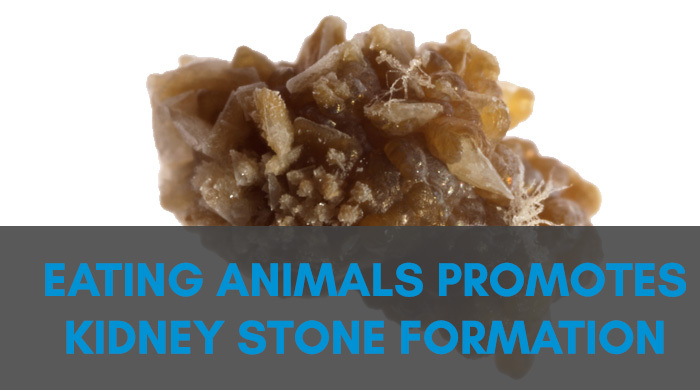 Kidney stones can pass naturally (and often painfully), but some become so large that they have to be removed surgically…. Test to see if your diet is alkaline- or acid-forming. Positive acid/alkaline balance is one of the most important factors in athletic performance. In my opinion, by disregarding this fact, sport supplement manufacturers have significantly reduced the effectiveness of their products. In fact some of the energy bars currently on the market are the worst offenders. Processed for the sake of shelf life and convenience, and consequently denatured and acid forming, many energy bars are not much more than disguised junk food. When acidic forming food is consumed, starting with digestion and continuing until elimination, it produces toxins that the body must deal with. Denatured foods are toxin producers and as a result have the greatest negative impact on pH balance within the body. Highly refined and processed, denatured foods are void of any usable nutrients, yet retain their caloric value – the worst combination. Toxins in the body lead to premature aging through cell degeneration. Aside from food, most prescription drugs, artificial sweeteners and synthetic vitamin and mineral supplements are extremely acid-forming. Athletes in peak training are the most affected by acidosis. Vigorous exercise creates stress in terms of muscle trauma cased by the workout. Physiologically speaking, hard exercise is the stressor but equally important is rest and recovery. The correct balance of theses two opposing elements is the recipe for growth. Already physically stressed, many athletes also must deal with various types of performance anxiety. An increased metabolism is yet another factor athletes are met with, further lowering pH. Furthermore, athletes require more food in general with an emphasis on protein to aid muscle recovery. For recovery to be expedited, alkalizing foods, such as those rich in chlorophyll, need to be consumed soon after exercise. Protein must also be consumed to help repair broken down muscle tissue. As with processed energy bars, numerous sport supplements touted as post-work-out recovery agents contain highly processed, manufactured proteins usually in the form of denatured isolates, which are acid forming. Suggesting they be consumed soon after a workout will fulfil the body’s need for protein, but completely neglect its need for pH balancing. In addition to curtailing recovery, pH imbalance is a trigger for many ailments. Those who maintain an acidic environment within their body are also prone to fatigue. Since acidity is a stressor, cortisol levels rise resulting in impaired sleep quality, thus further exacerbating the problem. Contrary to popular belief, it is stress and the over consumption of acid forming foods, not a lack of dietary calcium, that lead to most cases of poor bone health and eventually osteoporosis. The blood itself will always remain neutral as this is imperative for survival. However, if the body is consistently fed acid forming denatured foods and supplements, or encounters stress from other sources, it must take measures to ensure a neutral blood pH is maintained. To do so, the body pulls alkaline calcium from the bones. Over time, the bones become weaker as a result of this survival mechanism. The conventional way of treating low calcium levels and osteoporosis is to simply suggest the person take more calcium, usually in the form of tablets. The calcium source in tablets is generally derived from materials such as oyster shells, bovine bone meal, coral and dolomite (rock), all of which are extremely hard and unnatural for the body to assimilate. The large size and recommended daily number to be consumed is a testament to their poor bioavailability. The body must work very hard to get calcium from these sources, another reason why this method of boosting calcium levels in our body is inferior. Low-grade metabolic acidosis as it is termed, is another symptom of an over acidic body. It has been cited as a leading cause of several health concerns such as the development of kidney stones, loss of bone mass, and the reduction of growth hormone, therefore resulting in a decline in lean muscle mass and an increase of body fat. Since low-grade metabolic acidosis affects the body at a cellular level it is also responsible for an increase in the fabrication of free radicals, and a loss in cellular energy production. In addition to these serious concerns, viral and bacterial growth is able to thrive in an acidic body, possibly leading to a wide variety of diseases. 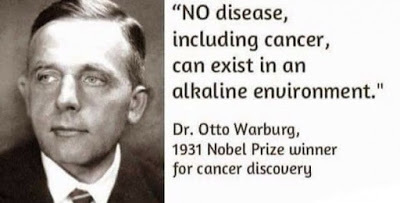 On the other hand disease is rare in an alkaline body; cancer, for example, cannot develop in an alkaline environment. Though diet has the single greatest impact on the body’s pH balance, there are other things that can also help. For example, taking time out of a busy schedule to do something pleasurable yet seemingly unproductive can actually be a key ingredient to improved pH balance, improved health and longevity. 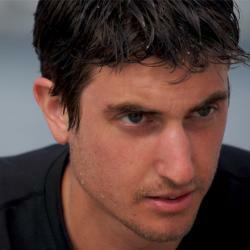 Brendan Brazier is the creator and host of the Thrive Forward web series, based on his bestselling Thrive book trilogy (Thrive, Thrive Fitness, and Thrive Foods). Brendan is a former professional Ironman triathlete, and the creator of an award-winning line of whole food nutritional products called Vega. He is also a two-time Canadian 50km Ultra Marathon Champion. Brendan is recognized as one of the world’s foremost authorities on plant-based nutrition for athletes. He is a lecturer for our Plant-Based Nutrition Certificate through eCornell where he presents a lecture based on his best-selling books entitled: Plant-Based Diet and Elite Athleticism. Osteoporosis is caused by several controllable factors; however, the most important one is the foods we choose – especially the amount of animal protein and the foods high in acid.17-19 The high acid foods are meat, poultry, fish, seafood, and hard cheeses – parmesan cheese is the most acidic of all foods commonly consumed.20 This acid must be neutralized by the body. 21 Carbonate, citrate and sodium are alkaline materials released from the bones to neutralize the acids. Fruits and vegetables are alkaline and as a result a diet high in these plant foods will neutralize acid and preserve bones. The acidic condition of the body caused by the Western diet also raises cortisol (steroid) levels. 22 Elevated cortisol causes severe chronic bone loss – just like giving steroid medication for arthritis causes severe osteoporosis. Greger, Michael; Stone, Gene. How Not To Die: Discover the foods scientifically proven to prevent and reverse disease (Air Side Edt) (p. 167-72). Pan Macmillan. Kindle Edition. Frassetto L, Morris RC, Sellmeyer DE, Todd K, Sebastian A. Diet, evolution and aging— the pathophysiologic effects of the post-agricultural inversion of the potassium-to-sodium and base-to-chloride ratios in the human diet. Eur J Nutr. 2001;40( 5): 200– 13. Banerjee T, Crews DC, Wesson DE, et al. 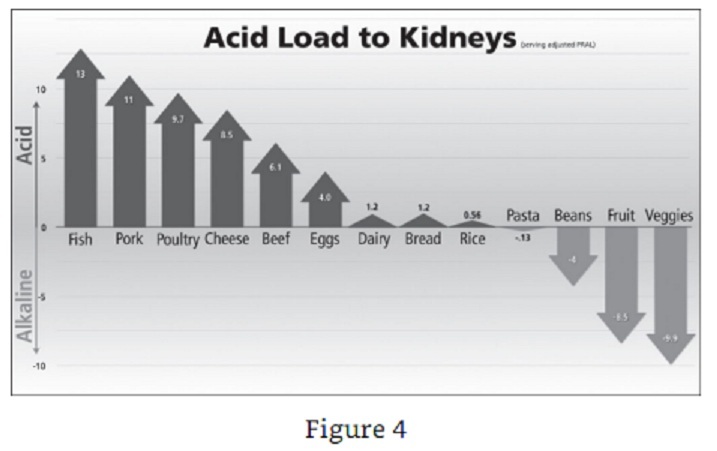 Dietary acid load and chronic kidney disease among adults in the United States. BMC Nephrol. 2014 Aug 24;15: 137. Sebastian A, Frassetto LA, Sellmeyer DE, Merriam RL, Morris RC. Estimation of the net acid load of the diet of ancestral preagricultural Homo sapiens and their hominid ancestors. Am J Clin Nutr. 2002;76( 6): 1308– 16.
van den Berg E, Hospers FA, Navis G, et al. Dietary acid load and rapid progression to endstage renal disease of diabetic nephropathy in Westernized South Asian people. J Nephrol. 2011;24( 1): 11– 7. Uribarri J, Oh MS. The key to halting progression of CKD might be in the produce market, not in the pharmacy. Kidney Int. 2012;81( 1): 7– 9. Cohen E, Nardi Y, Krause I, et al. A longitudinal assessment of the natural rate of decline in renal function with age. J Nephrol. 2014;27( 6): 635– 41. Brenner BM, Meyer TW, Hostetter TH. Dietary protein intake and the progressive nature of kidney disease: the role of hemodynamically mediated glomerular injury in the pathogenesis of progressive glomerular sclerosis in aging, renal ablation, and intrinsic renal disease. N Engl J Med. 1982 Sep 9;307( 11): 652– 9. Frassetto LA, Todd KM, Morris RC, Sebastian A. Estimation of net endogenous noncarbonic acid production in humans from diet potassium and protein contents. Am J Clin Nutr. 1998;68( 3): 576– 83. Wiseman MJ, Hunt R, Goodwin A, Gross JL, Keen H, Viberti GC. Dietary composition and renal function in healthy subjects. Nephron. 1987;46( 1): 37– 42. Kempner W. Treatment of heart and kidney disease and of hypertensive and arteriosclerotic vascular disease with the rice diet. Ann Intern Med. 1949;31( 5): 821– 56. 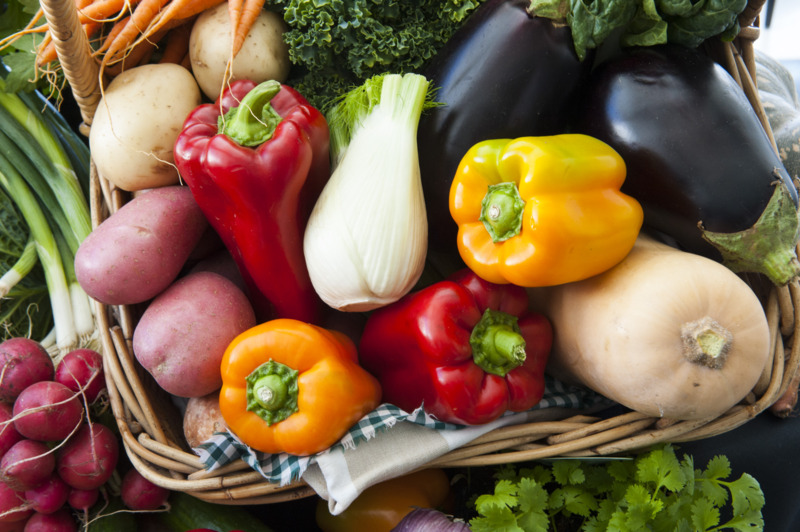 Barsotti G, Morelli E, Cupisti A, Meola M, Dani L, Giovannetti S. A low-nitrogen low-phosphorus vegan diet for patients with chronic renal failure. Nephron. 1996;74( 2): 390– 4. Deriemaeker P, Aerenhouts D, Hebbelinck M, Clarys P. Nutrient based estimation of acid-base balance in vegetarians and non-vegetarians. Plant Foods Hum Nutr. 2010;65( 1): 77– 82. Goraya N, Simoni J, Jo C, Wesson DE. Dietary acid reduction with fruits and vegetables or bicarbonate attenuates kidney injury in patients with a moderately reduced glomerular filtration rate due to hypertensive nephropathy. Kidney Int. 2012;81( 1): 86– 93. Yaqoob MM. Treatment of acidosis in CKD. Clin J Am Soc Nephrol. 2013;8( 3): 342– 3. Wright JA, Cavanaugh KL. Dietary sodium in chronic kidney disease: a comprehensive approach. Semin Dial. 2010;23( 4): 415– 21. Trinchieri A. Development of a rapid food screener to assess the potential renal acid load of diet in renal stone formers (LAKE score). Arch Ital Urol Androl. 2012;84( 1): 36– 8. 19) Frassetto L. Diet, evolution and aging–the pathophysiologic effects of the post-agricultural inversion of the potassium-to-sodium and base-to-chloride ratios in the human diet. Eur J Nutr. 2001 Oct;40(5):200-13.